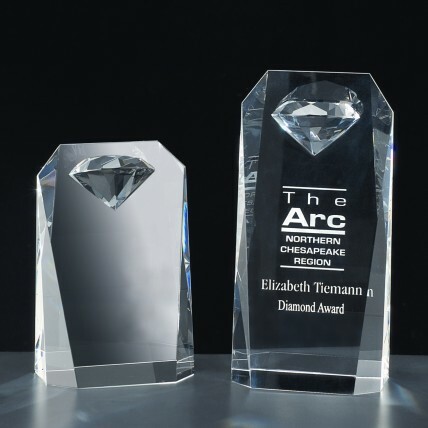 The Diamond Topped Crystal Trophy has a beautifully faceted diamond shaped crystal at the top. This award is available in two sizes with your personalized message etched on the face. Present this diamond crystal trophy to your most precious. Comes with a free gift box. -- Please Select --Large - 8" +$21.00Small - 6"